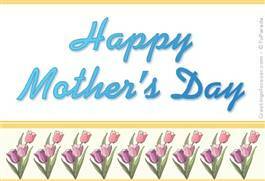 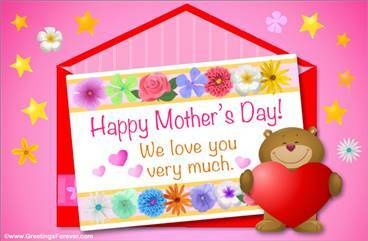 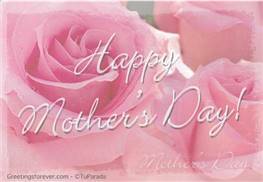 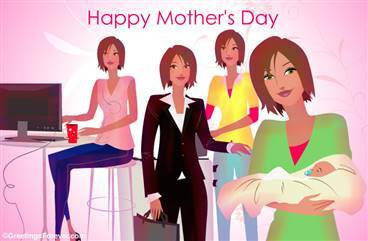 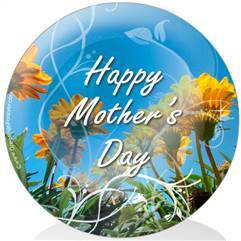 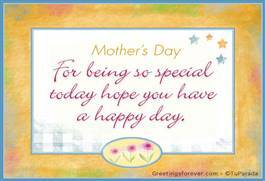 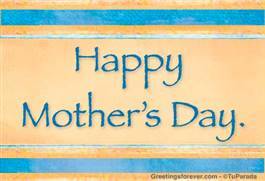 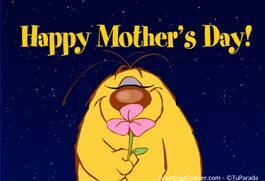 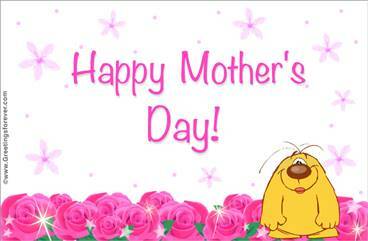 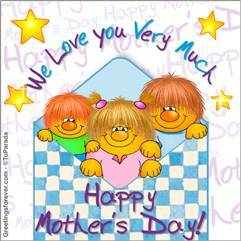 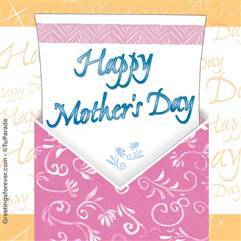 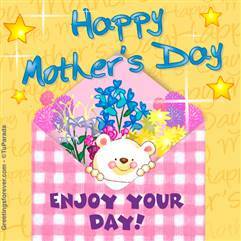 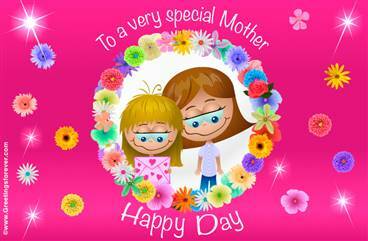 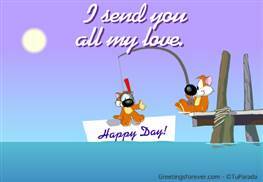 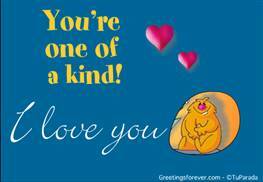 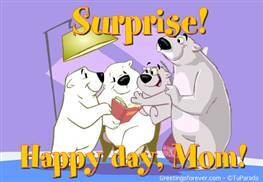 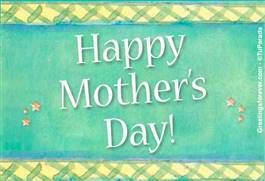 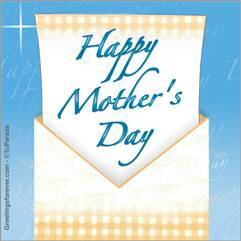 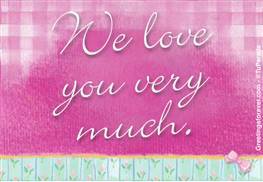 Send her all your love and best wishes on her day with these special mother's day ecards. 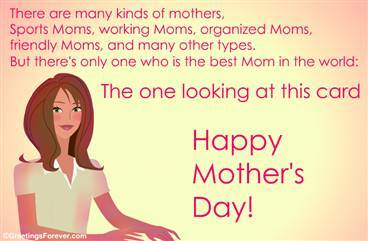 The best Mom in the world. 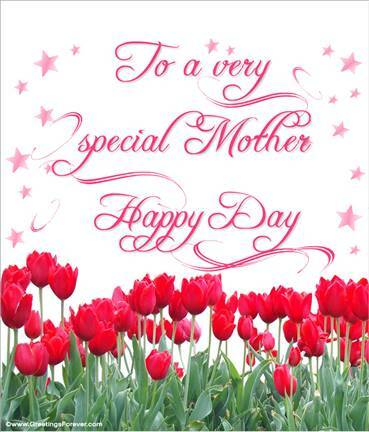 Ver más páginas de tarjetas de Mother's Day (25 tarjetas). 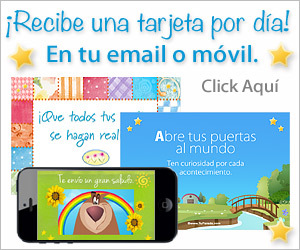 Mensajes para enviar por email los mejores deseos a familiares, amigos y conocidos. 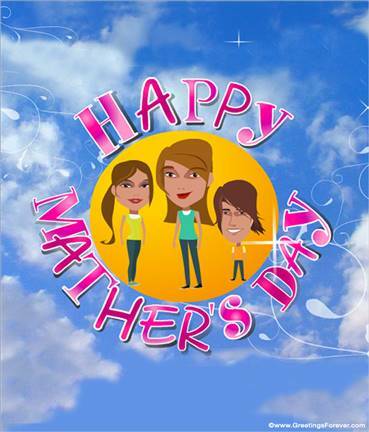 Ecards de Mother's Day gratis y premium para compartir con tu teléfono móvil en facebook, twitter, Google o WhatsApp. 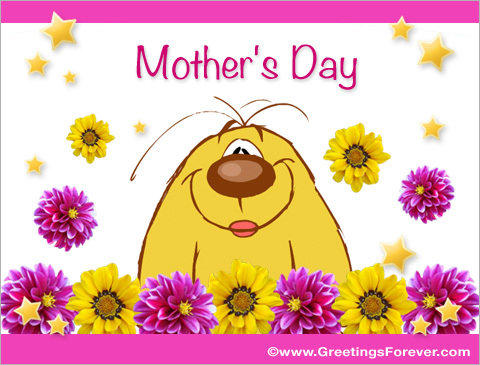 Tarjetas animadas de Mother's Day con mensajes especiales, imágenes, personajes, diseños formales y mucho más. 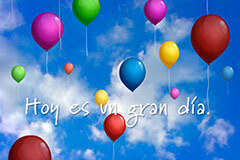 Secciones relacionadas: Happy Birthday, Hi, Hello, Easter, Passover, Earth Day, Create, Published, Friendship.